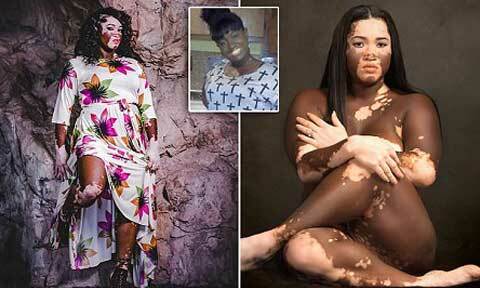 Winnie Harlow a once dark skin beauty started experiencing a tiny spot of white skin under her arm at the age of 25years, Winnie who is now a grandmother of two children, model, business owner and mother of four Iomikoe Johnson 37, from lake Charles inspires people living with Vitiligo. 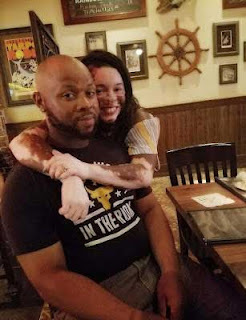 At first, she taught she had cancer but it became more obvious on her skin, but then spread to her eyes and genital area, she was bullied, taunted, disrespected, kids were afraid of coming close to her even strangers starring at her without shaking her hand. She said she once contemplated taking her own life until her fiancé Philip told her that he loved her the way she was" no matter if she wore makeup or not. "I want people to be encouraged by my story and remove the mask of being judged".